Nano coating is used in almost every sector. From automotive, to food, the interior and the textile sectors. Not only does it seal the original layer of paint, such as car paint, it also provides windows with a self-cleaning or waterproofing property. This can be useful for, for example, high buildings or the textile on board of a sailing ship. In this article we have listed the possibilities for this so-called nano fluid for you. Slows down degradation: offers a sustainable protection for vulnerable and porous objects such as bridges, monuments etc. Protects the surface against vandalism: the coating forms an effective and permanent anti-graffiti or anti-urine layer. These advantages realized by nanotechnology, in other words minuscule nano particles. These particles are on billionth of one meter small. In other words, a small soccer ball compared to the planet earth. As a result, unlike traditional coatings, it does not form a layer around the object, but literally penetrates an area and becomes one with the structure. This ensures that liquids can no longer penetrate and no longer bind to any dirt, grease or fungi. With nano coating it is important to keep in mind the goal of the project and the type of substrate, such as wood, concrete or glass. There is not just one simple nano coating for your car, but there is a nano coating for glass or a ceramic coating for lacquer. These different coatings with the use of different raw materials and the chemical composition of different nano fluids. That is the reason why we have selected 3 steps to help you find out which nano coating is the most suitable one for your project! There are three types of nano coating when it comes to the chemical composition and raw materials. Namely, hydrophobic, hydrophilic and nano based on glass or ceramics. 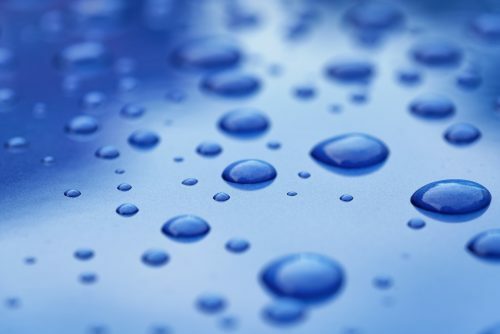 Nano coating on cars prevent the water drops from affecting the surface. Description This nano coating is based on titanium dioxide and it is suitable especially for smooth surfaces. Titanium dioxide breaks almost any organic bond in UV light. It does not repel water, but attracts it instead; creating a thin, tiny water filter which creates a self-cleaning effect. The coating is extremely hygienic; you will literally see water and dirt slide off the surface. 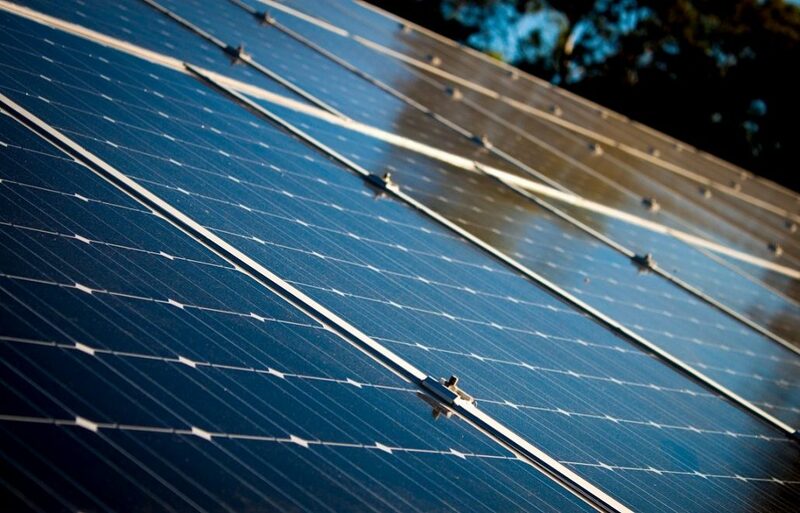 This coating is also the nano coating for solar panels due to the fact that it keeps them clean and improves energy generation. Possible applications: skyscraper windows, medical instrument, solar panels and greenhouses. Description: Hydrophobic and oleophobic literally means: afraid of water and dirt. This coating is based on silicon dioxide. This raw materials ensures that water and dirt no longer adhere to the substrate, which gives an hygienic effect. This type of coating can be applied on all substrates. The most popular applications of this coating are applied on bathroom floors, tiles and walls. For the commercial sector there are even handy nano coating sprays to apply the coating on furniture. Possible applications: car windows, walls and floors in the food processing industry, eyeglasses, sanitary facilities, textile, plastic, exterior furniture etc. Description Like hydrophobic and oleophobic coatings, also ceramic and glass coatings are based on silicium dioxide; however, the dose is higher. This makes the nano coating extremely hard, almost insoluble and resistant to as wide range of chemicals. Due to the extreme hardness of the coating, it is also somewhat resistant to impact and scratches. Therefore, it is one of the most popular nano coatings in the automotive coating and refinishes sectors. Possible applications: Car paint, statues, machines, as a top coat on floors and walls. Even though nano coatings are suitable for almost any substrate, not every coating adheres to all substrates. The optimal adherence is created by adding ingredients that support adhering to the wished material such as smooth metal or porous concrete. Therefore, the products are also often named according to the substrate they are suitable for: for example Nano Concrete, Nano Plastic and so on. Therefore, it is crucial to choose for the product that is especially developed for the surface you wish to coat. If you choose for a product that is made for a different substrate, the coating may not adhere and the effect may not be as wished. Once you know which nano coating you need, it is time to purchase the coating. To make the job little easier for you, we have compiled a short overview of professional nano coatings available in India. Do not hesitate to contact us if you are interested in the following products, or if you are looking for a tailored nano solution. Even though nano coatings are known for their many benefits, they also have a less beneficial side: keep in mind that nano coatings are not always the right solution. You should consider at least the following 5 things before deciding to go for nano coatings. Contamination: the coatings are not suitable for old, contaminated substrates. The substrate must be absolutely clean. Easy to clean: nano coating are however not resistant to harsh cleaning chemicals and microfiber cloths. Substrate types: every substrate requires a different nano coating. Limited durability: nano coatings are not for ever. Some products may deteriorate very fast and need another layer shortly after the first is applied. Product names: the names manufacturers give their products may be confusing; anti graffiti and glass coating are most often names of nanocoatings. Have you come to the conclusion that nano coating is not the right coating for your project? We know all the alternatives. We are happy to help answer any questions you might have about (nano) coatings. Additionally, we have an extensive network of coating experts whose expertise is at your disposal. Do not hesitate to contact us for tailored advice. Let’s say you are curious about using nano coatings in car manufacture. Or you wish to protect electronic devices from electrical breakdowns. Or maybe something completely else. We at Coatings.co.in are happy to offer our services to help you find the right nano coating. In cooperation with our coating partners, we can also draw up a competitive proposal for applying nano coatings. Nanotechnology is the bases of many innovative experiments and prototypes. For example hospitals make use of nanotechnology in antimicrobial floor and wall coatings. Next to that, medical equipment and implants can be nano coated to make them safer. Nano coatings also contribute to improved and cleaner environment; they are used as anti graffiti coatings which make removing graffiti easy. You can read more about these application in our article dedicated to the topic. Looking for industrial nano coatings? Here you’ll get a competitive proposal! Feel free to request a quote from one of our partners.